We've seen some ridiculous things on this show over the past nine weeks, but I don't think anything will ever top the sight of small town Americans voluntarily handing over their firearms just because a used car salesman asked them nicely. Particularly when you consider that these people have recently been subject to rampant looting, shootouts over water supplies, and all manner of other dome-related craziness. Take it from someone who grew up in rural Maine: This is the most implausible plot development yet. 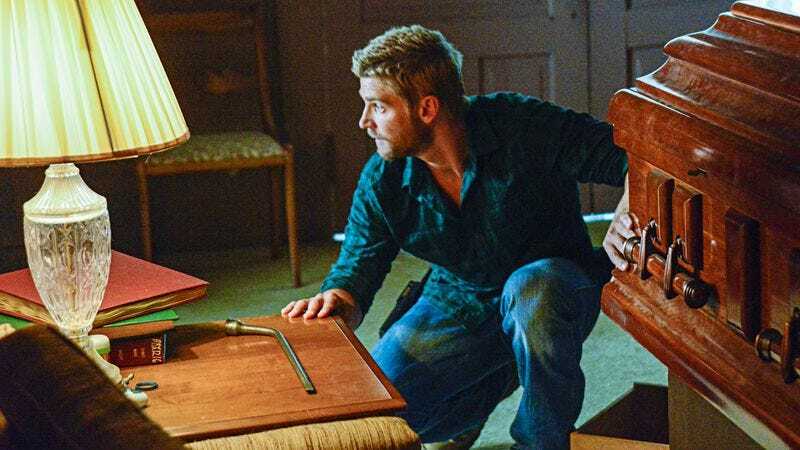 So at this point, Max is more of a plot device than an actual character, but she does tie into two mysteries from the pilot that most of us had probably chosen to stop caring about by now. She's the person Barbie called after offing Julia's husband (and thus, she has that secret to hold over Barbie's head), and she's the Heisenberg of "Rapture," the most popular drug in the universe. One of the ingredients in Rapture is propane, which explains the stockpiling of said item at the warehouse. Big Jim, Rev. Coggins, and the late Sheriff Duke were all involved in the manufacture and sale of this drug, all for the good of the town, of course. 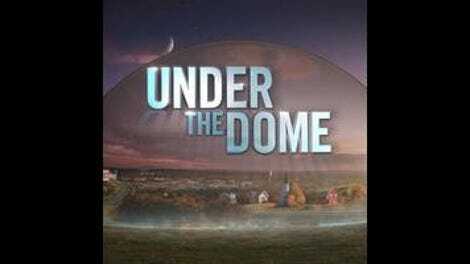 Breaking Bad Dean Norris sure wouldn't have much use for Under The Dome Dean Norris. "The Fourth Hand" also deals with more recently introduced mysteries, such as the egg under the mini-dome and the question of why Angie continues to hang out with Junior after he held her prisoner in a bomb shelter for four days. On this latter point, the show seems to be trying to backtrack a bit and retroactively convince us that Junior really does have Angie's best interests at heart. His late mother, an artist, once painted a picture of Junior surrounded by pink stars, so there's clearly a cosmic connection between the two ex-lovers. But come on, the guy is still super-creepy, and if the show tries to bring him and Angie back together… ick. As for the mini-dome, it has mysteriously disappeared when Julia takes Barbie out for a look-see. Later, it turns out that Joe has gone sleepwalking and brought the mini-dome to a barn. When he, Norrie, and Angie all place their hands on it together, the mini-dome lights up in a way indicating that a fourth hand is required. (Hence your episode title.) This really is the hatch from Lost all over again, isn't it? No doubt the search for the fourth hand will play out over the four episodes remaining in this season. Of course, the difference between this show and Lost (well, one of the many, many differences) is that we already know what's inside the mini-dome: an egg. Ah, but what's inside the egg? "The Fourth Hand" plays like an episode filled with big revelations, but none of them are particularly interesting. As an antagonist, Max seems to be stamped with an expiration date from her very first scene; I can't imagine she lives through the season. We finally got some answers, but they were for all the wrong questions. The Ted Utley subplot was particularly inane. It didn't seem to have much point except to provide some "tense" moments when Barbie had his laser sights trained on Big Jim's chrome dome. No good can ever come of the bomb shelter, apparently. First it's a prison, and now it's an armory. So who is the fourth hand? Skater dude, perhaps?